The Schneider Optics 68-031144R 4 x 4" True-Match Circular Pol Filter (Rear) is designed to work in conjunction with Schneider custom DSLR filter support system (matte box) manufactured in cooperation with Lee filters. 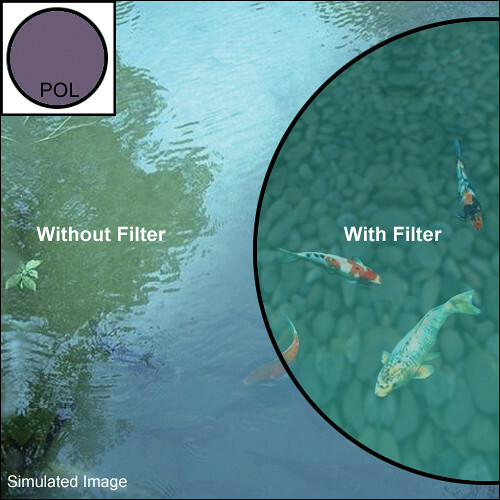 The True-Match system is a carefully matched set of 4 x 4" (101.6 x 101.6mm) circular polarizers that produce a density range of 1 1/3 stop loss in full transmission to 11 stops full attenuation. One filter is held static and the other can be rotated to achieve the desired attenuation. This filter is able to produce a variable ND with 11 stops (ND 3.3) attenuation and no blue color shift at maximum density. Box Dimensions (LxWxH) 5.9 x 5.5 x 0.9"